Musically, it’s a home run, with Springsteen returning to the earthy, big-band folk sounds of his “Seeger Sessions” record from 2006. It’s not as loose and improvisational as the “Sessions” were, and it has a lot more production on top of it, including a big choir, but this is a sound I very much enjoy. It’s a fairly significant deviation from the previous track, “We Take Care of Our Own,” which was produced to sound like a classic E-Street rocker (even though no E-Streeters played on the song). 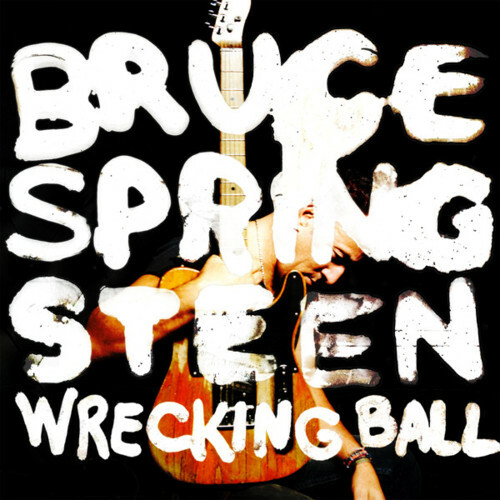 Stylistically, at least, it seems that “Wrecking Ball” is going to keep us guessing, and I like that. 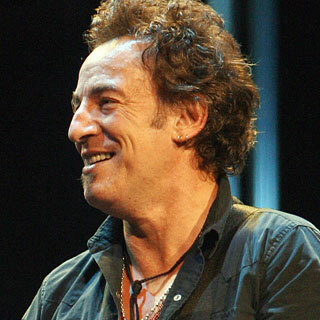 With Clarence Clemons having passed away, Springsteen’s classic sound is going to be very hard to replicate, and going down a more experimental path is probably the right move. “Easy Money” has a terrific melody and a pleasant, sing-along atmosphere, and when you’ve heard it once, it’s very hard to get out of your head. There’s only one aspect of the production I found troublesome: there’s a loop of Springsteen doing his high-pitched “Whoop” that reoccurs at the start of each measure during the song’s extended, choir-driven finale. On first listen, I found this to be the most annoying, distracting thing Springsteen has ever put in a song. I normally like a good “Whoop,” but when it’s the same “Whoop” digitally looped over and over again, it grates quickly. But as I spend more time with the song, I find myself hardly noticing it; with my studio headphones, I found the noise to be far enough down in the mix that it’s hardly a problem. Your mileage, of course, may vary. I really like the idea behind the lyrics, the concept of two blue-collar people figuring that robbery is now one big party that they too can take part in, a theme the loose, folk style helps suggest. But Springsteen spends so little time clarifying this theme – only a few words, really – that I’m having to read a lot more meaning into the song than I usually do with Springsteen’s work. Springsteen himself has compared the “Wrecking Ball” album to “Nebraska,” saying it’s very “direct,” but I’m not hearing that on “Easy Money.” Were “Easy Money” a song on “Nebraska,” Springsteen would devote a verse to explaining exactly where the robbers found inspiration, and he would take us through their journey, from the robberies they commit through to their undoubtedly sticky end. That would be a much more fulfilling and meaningful song. In fact, “Easy Money” could be a masterful piece if Springsteen added some extra verses that used some of his oldest, most trusted techniques. The fourth verse, for instance, could switch perspective to one of those “fat cats” on Wall Street, and we could hear that character rationalize his quest for “Easy Money” parallel to the blue-collar people he “inspired.” That alone would go a long way towards making “Easy Money” a meatier track. Taking another page out of the “Nebraska” playbook, a final set of verses could be the middle-class robbers explaining their actions to the police or a judge, a la “Johnny 99,” saying that they thought “Easy Money” was the new law of the land. To me, it sounds like this is where “Easy Money” wants to go, but for some reason never does. After the third verse, a choir takes over chanting “Na na na na na” in a big, emotional finale the slight lyrics certainly don’t earn. It sounds nice, but I would have preferred to hear more about the topic. All that being said, I don’t want to sound too negative about this track. I like it. I really do. The three verses we do get are very good; the last two, in particular, are beautifully written. I like that Springsteen has written a sing-along folk song about going out and robbing others, as if this is a new, universal status quo we should all be celebrating around the campfire. It certainly gets across the indignant emotions we should all be feeling towards how white-collar criminals robbed our nation blind without any consequences. And since this individual song is only 1/11th of the larger thematic tapestry Springsteen is painting with the album, the track may be intentionally vague. Since it’s only the second track, perhaps Springsteen’s goal was to simply introduce the idea of robbery and inequality, waiting to flesh the concept out later on down the line. That’s certainly possible. I just worry that, in what we’ve heard of the album so far, Springsteen isn’t expressing the direct “anger” he’s been promising in interviews. I want anger. I want confrontational lyrics. That’s what made “Darkness on the Edge of Town” and “Nebraska,” to name a few, so infinitely compelling. I don’t want vague emotions or generalities, which is what “Easy Money,” for all its positive qualities, unfortunately presents. But again…this is only one song out of eleven. I loved “We Take Care of Our Own,” and I liked this. I’m still very optimistic about the rest of the album, if a bit more cautiously then before.